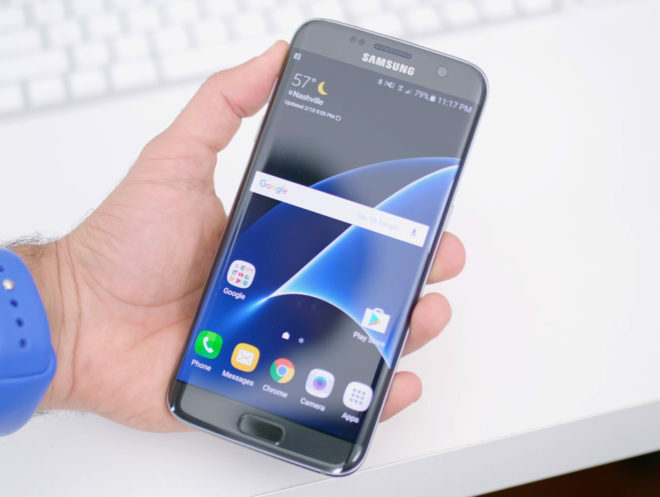 The Galaxy S7 and S7 edge are now three years old, but they’re still receiving support from Samsung and T-Mobile in the form of software updates. 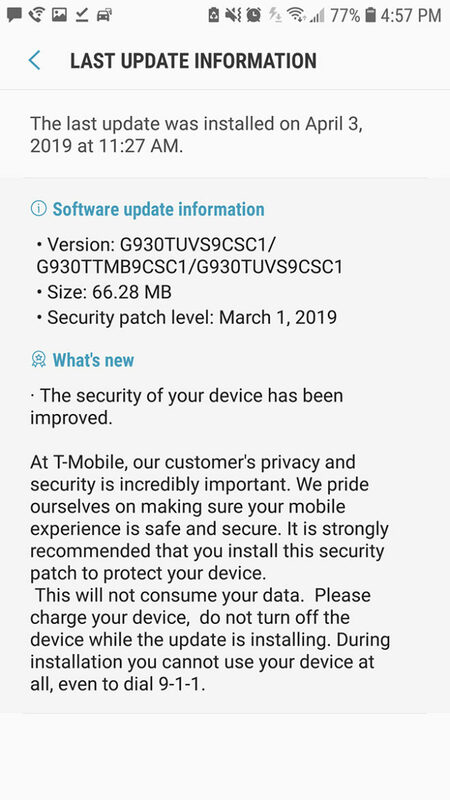 The T-Mobile Galaxy S7 and S7 edge are now receiving updates that include the March 1, 2019 Android security patches. T-Mo hasn’t yet updated its support pages with info on these updates, so it’s unclear what else, if anything, they might include. You Galaxy S7 owners should be on the lookout for version G930TUVS9CSC1 while Galaxy S7 edge users will be getting version G935TUVS9CSC1. The updates are now rolling out over the air, and TmoNews reader Ben received the update today on their Galaxy S7. You can manually check for this update by going into the Settings app on your phone and then tapping “Software update” followed by “Download updates manually”. These may not be the most exciting updates ever, but it’s great to see three-year-old phones continue to receive updates. Those of you still rocking a Galaxy S7 or Galaxy S7 edge should grab your phone’s update as soon as you can to ensure your device has the latest security patches available to it. Awesome. We saw an update recently on my daughter’s Edge. This must have been it. Any known issues with this one? I did the last update right away and at least for the first several days my performance and battery life was horrible.